What are the different types of adhesions? The tissue develops when the body's repair mechanisms respond to any tissue disturbance, such as surgery, infection, trauma, or radiation. Although adhesions can occur anywhere, the most common locations are within the abdomen, the pelvis, and the heart. Pelvic adhesions may involve any organ within the pelvis, such as the uterus, ovaries, fallopian tubes, or bladder, and usually occur after surgery. Pelvic inflammatory disease (PID) results from an infection (usually a sexually transmitted disease) that frequently leads to adhesions within the fallopian tubes. A woman's eggs pass through her fallopian tubes into her uterus for reproduction. Tubal adhesions can lead to infertility and increased incidence of ectopic pregnancy in which a fetus develops in the tube. Abdominal adhesions are a common complication of surgery, occurring in up to 93% of people who undergo abdominal or pelvic surgery. 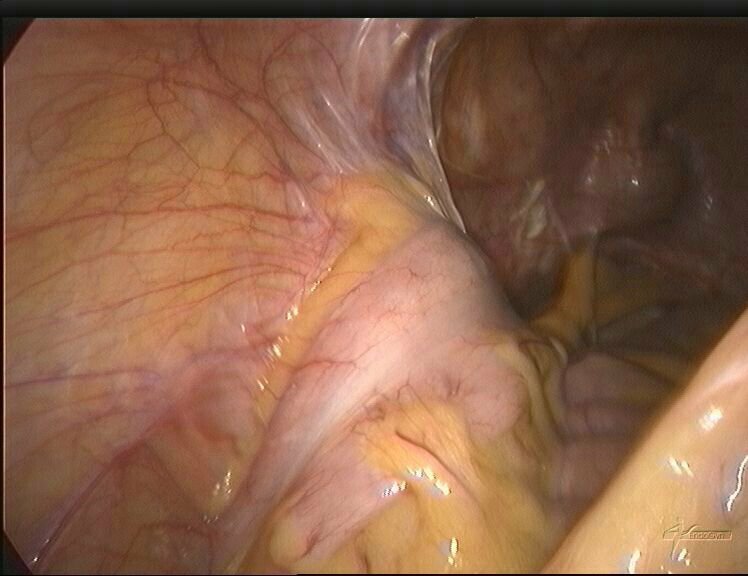 Abdominal adhesions also occur in 10.4% of people who have never had surgery. Most adhesions are painless and do not cause complications. However, adhesions cause 60%-70% of small bowel obstructions in adults and are believed to contribute to the development of chronic pelvic pain. Adhesions typically begin to form within the first few days after surgery, but they may not produce symptoms for months or even years. As scar tissue begins to restrict motion of the small intestines, passing food through the digestive system becomes progressively more difficult. The bowel may become blocked. 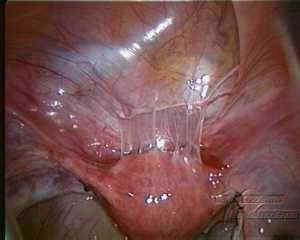 In extreme cases, adhesions may form fibrous bands around a segment of an intestine. 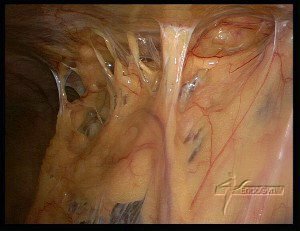 This constricts blood flow and leads to tissue death. De novo are new adhesions that may form at a site of direct surgical trauma such as an incision. They may also develop at locations away from the site of surgery, for example, around the adnexa at the time of a cesarean section. 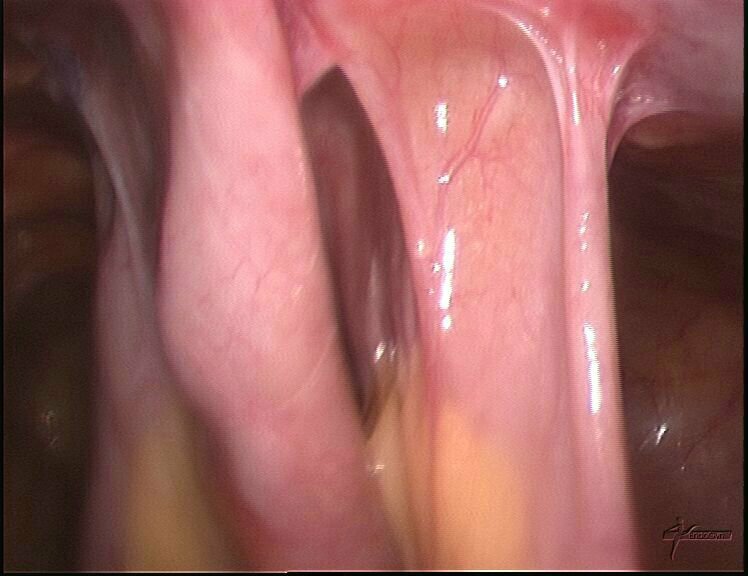 Adhesions may also reform following adhesiolysis or adhesiectomy.